The Avg. Group Saves 6.8%! I had made a reservation through a 3rd party and when I got there my third party had not made my reservation but the staff handled it very well and I got a satisfactory room. 12-Apr-2019 Verified Review, stayed from Mon Apr 08 to Tue Apr 09 2019 at a $138.27 average nightly rate. From the front desk to house keeping to the lady and man in dining room for breakfast was so nice professional our room was nice and clean.I will book in future KUDOS TO HILTON. 11-Dec-2018 Verified Review, stayed from Fri Dec 07 to Sun Dec 09 2018 at a $137.28 average nightly rate. 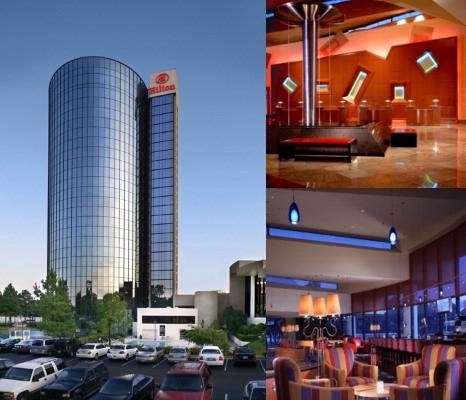 A luxury high rise, the Hilton Memphis Hotel is located in the heart of Memphis' largest Business district at I-240 and Poplar and is surrounded by shopping and numerous restaurants. We are fifteen minutes from the Memphis International Airport and offer complimentary shuttle service to and from the airport for all hotel guests. We are approximately twenty minutes from the downtown Riverfront District by Interstate.Our guest accommodations consist of 405 spacious guestrooms with a beautiful view of the surrounding area. Meeting facilities include 11,700 square feet of Grand Ballroom with additional meeting rooms to support any variety of meeting agenda.Rook's Corner, A modern American bistro where classic cuisine meets the flavors of the American market with a menu reflecting the changing seasons and a focus on the simplicity of fine ingredients. Rook's Corner is our interpretation of the new generation of bistros whose classically trained chefs offer creative cuisine in a casual, comfortable and contemporary setting. The Lobby Lounge offers our guests a great place for small gatherings as well as a relaxing environment to unwind from the stresses of a long day. Whatever your pleasure we will be there to take care of your needs. Location – Nestled in the heart of the East Memphis business district – also known as the “Poplar Corridor” – the Hilton Memphis puts guests in easy reach of this southern city’s most beloved attractions: Beale Street, Graceland, the Memphis Zoo, Liberty Bowl, Civil Rights Museum, University of Tennessee at Memphis, and the FedEx Forum. Enjoy a Grizzlies or Redbirds game at the nearby stadiums. The Memphis International Airport is also just a short drive from Hilton Memphis. Hotel Features – The Hilton Memphis is home to more than 30,000 square feet of meeting space, so consider this premier location for any business or social function. An on-site restaurant, Rooks Corner, serves three meals daily, and the Lobby Bar is a great place to meet colleagues or friends for after-dinner drinks. Valet parking is available, as is complimentary monitored parking for guests. Free airport shuttle service ensures guests will never miss a flight. Take a dip in the outdoor pool, or ease away the worries of the day in the whirlpool. Work off some steam at the 24-hour, state-of-the-art fitness center, or take advantage of copy, fax, and printing services at the all-hours business center. Guest Rooms – Designed by Francis Mah, a Memphis area architect, the 405-room Hilton Memphis recently underwent extensive remodeling and renovations to bring the hotel back to its original splendor. Every well-appointed, beautifully decorated room boasts stunning views of the city, thanks to floor-to-ceiling windows. Guests will sleep well on the Hilton Suite Dreams Mattress, dressed with the Serenity Bed Collection. Rooms are equipped with wireless Internet access and a new flat-screen TV. A complimentary copy of USA Today is delivered to all guest rooms on weekday mornings. Expert Tip – Make your travel budget lighter; take advantage of a number of specials offered by the Hilton Memphis: advanced purchase rates, airline miles rewards, romantic getaway offers, the Hilton Bed & Breakfast weekend, and more. We allow pets up to 75lbs. There is a $75 dollar nonrefundable pet deposit. Dine in our Rook's Corner Restaurant. An American Bistro serving classic foods with a whimsical twist. Features a $15.95 (per person) breakfast buffet daily with omelets and waffles made to order. Complimentary self parking. Valet parking at $9.95/day. Complimentary bus parking. $9.95/room/day for all guest rooms. WIFI complimentary at lobby. Above shows trends of room prices for both group/meeting rates and the lowest individual traveler prices we could find at the time the group/meeting bid was placed. The most competitive group/meeting rate displayed is 11.6% in the month of August 2018 and the highest average individual rate is $236 in the month of December 2018. This chart will show past seasonality and also project future months. If you are flexible with dates, you may want to consider staying at Hilton Memphis in a month when rates are lower. 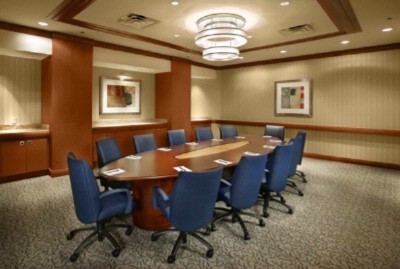 Below are the meeting, banquet, conference and event spaces at Hilton Memphis. Feel free to use the Hilton Memphis meeting space capacities chart below to help in your event planning. Hotel Planner specializes in Memphis event planning for sleeping rooms and meeting space for corporate events, weddings, parties, conventions, negotiated rates and trade shows. 180 x 65 x 22 Ft.
56 x 80 x 14 Ft.
40 x 40 x 11 Ft.
40 x 48 x 10 Ft.
24 x 32 x 10 Ft.
22 x 25 x 10 Ft.
41 x 18 x 10 Ft.
35 x 25 x 10 Ft.
21 x 18 x 10 Ft.
60 x 65 x 22 Ft.
30 x 65 x 12 Ft.
193 x 18 x 22 Ft.
56 x 34 x 14 Ft.
30 x 32 x 12 Ft.
56 x 24 x 14 Ft.
168 x 18 x 14 Ft.
56 x 22 x 14 Ft.